EDDI READER, one of the greatest singer-songwriters to ever emerge from Scotland, returns to Ireland for what will be her 11th consecutive tour of the country, and Galway is on her itinerary. Eddi, and her band - John Douglas (guitar/vocals ), Boo Hewerdine (guitar/vocals ), Alan Kelly (piano accordion ), Kevin McGuire (double bass/vocals ) - play the Town Hall Theatre on Tuesday February 19 at 8pm. Glasgow born Eddi originally came to prominence in the 1980s as vocalist with Fairground Attraction, who enjoyed huge chart success with their debut No 1 single 'Perfect' and album First Of A Million Kisses. In the 1990s, she went solo and since then has released nine critically acclaimed solo albums; won three BRIT awards; and was awarded an MBE. Last September saw the release of her latest album, Cavalier, featuring contemporary and traditional songs. 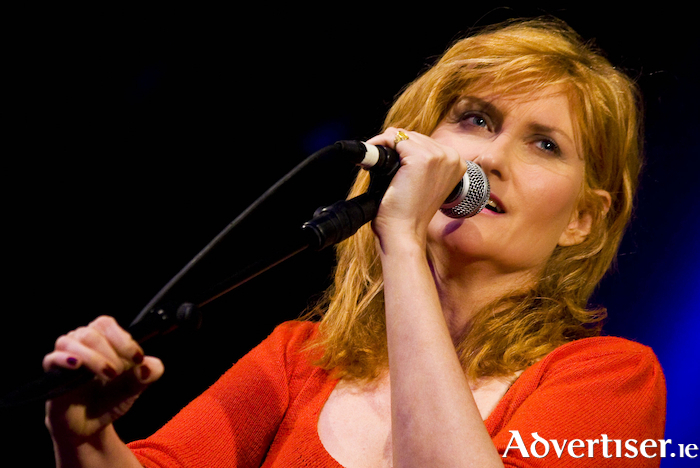 The Scotsman called it "sumptuous and scrumptious", while Folkradio.co.uk declared, "Cavalier proves that Eddi Reader’s talent as a singer, arranger and writer has never diminished, her music shines bright”. Tickets are from the Town Hall Theatre (091 - 569777, www.tht.ie ).